It’s been a while so it’s probably time for another piece of found art, our supposedly regular blog feature where we, um, find bits of art simply lying around the office and we pop them on the blog for all to see. 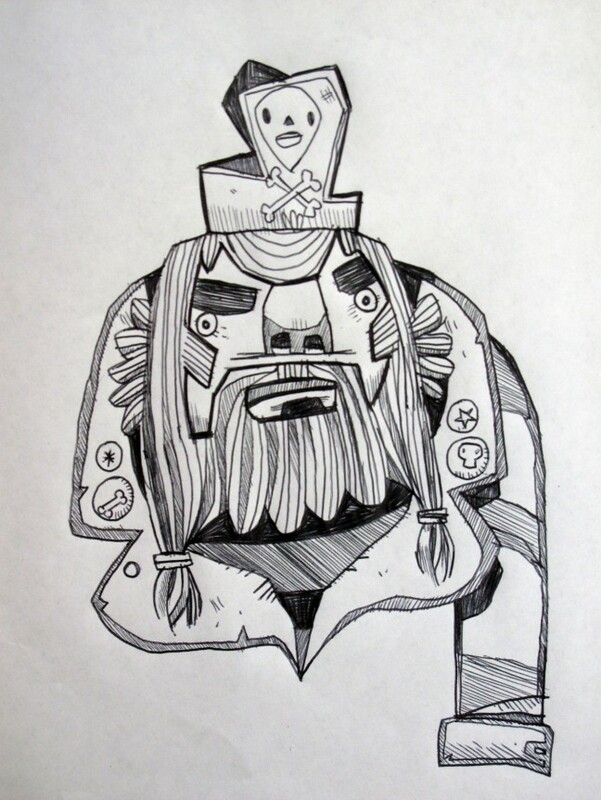 Like buried treasure, we stumbled across this rather tasty pirate sketch that Rex gone done on a bit of paper. In other news: Spaff’s away at the moment. He’s OK though! He’s on holiday in the U.S of A, getting some of that California Love.